A 30th anniversary gift edition to celebrate the magic of Jumanji! Thirty years ago, Peter and Judy first found the game -- Jumanji -- with the instructions that once the game is started, it must be finished or it will go on forever -- and thirty years ago, with this same wonderment, readers found Jumanji, too. 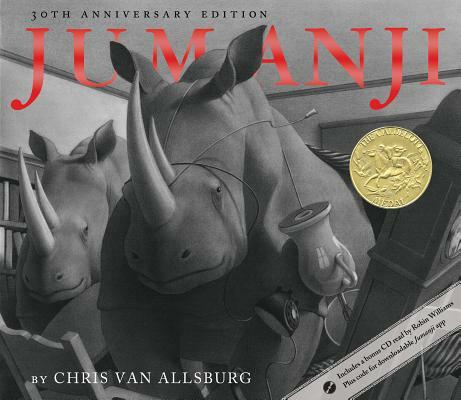 Since its original publication, Jumanji has been honored with many awards, including the Caldecott Medal, and in 1996, the surreal story was adapted to fit the big screen. This special anniversary edition of Jumanji contains a CD of the renowned actor Robin Williams reading the timeless tale.